Last weekend I took Little Man along to Brasserie of Light to meet a friend who I hadn’t seen for ages. It had been years since my friend and I had a chance to sit down and chat; and when we finally did on Sunday it was as if no time had passed whatsoever. It was so lovely. 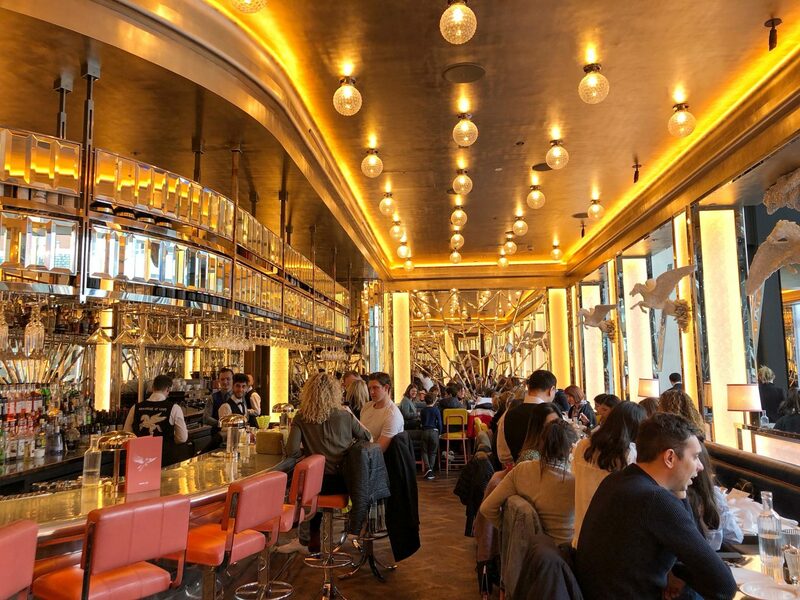 This was my first visit to Brasserie of Light which sits on the first floor of Selfridges. 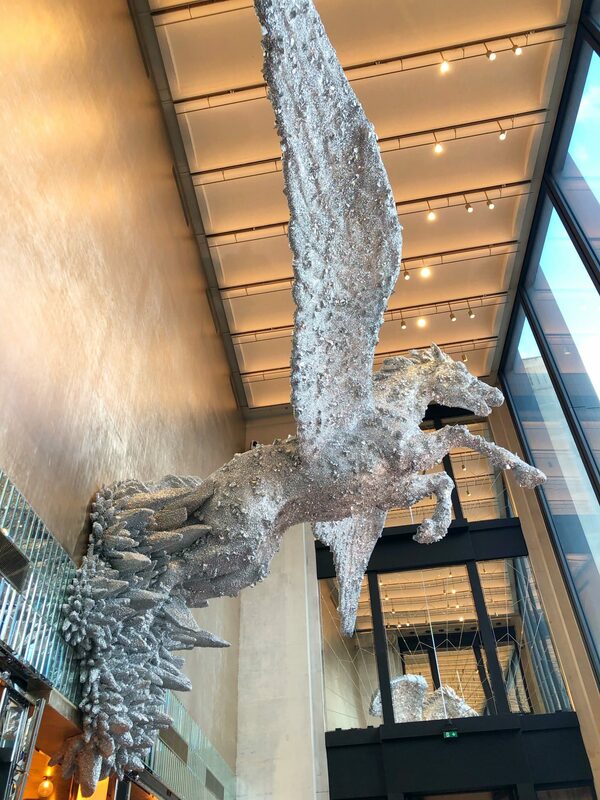 I was excited to visit but not as thrilled as Little Man who at the age of five is enthralled by Greek mythology and was enraptured by the Pegasus flying overhead as we ate. With Greek tales from Little Man and a long overdue catch-up with a dear friend, we had an amazing lunch. 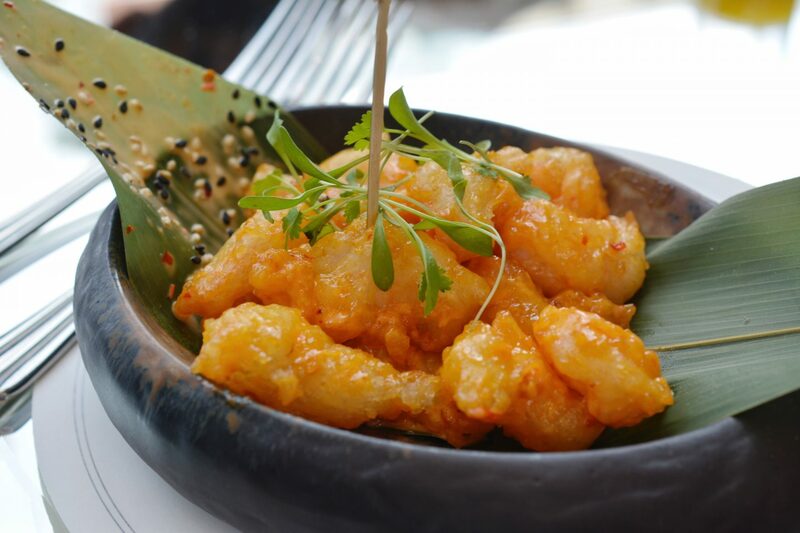 For starter I had the popcorn shrimp with a creamy spicy sauce and it was divine and so light. 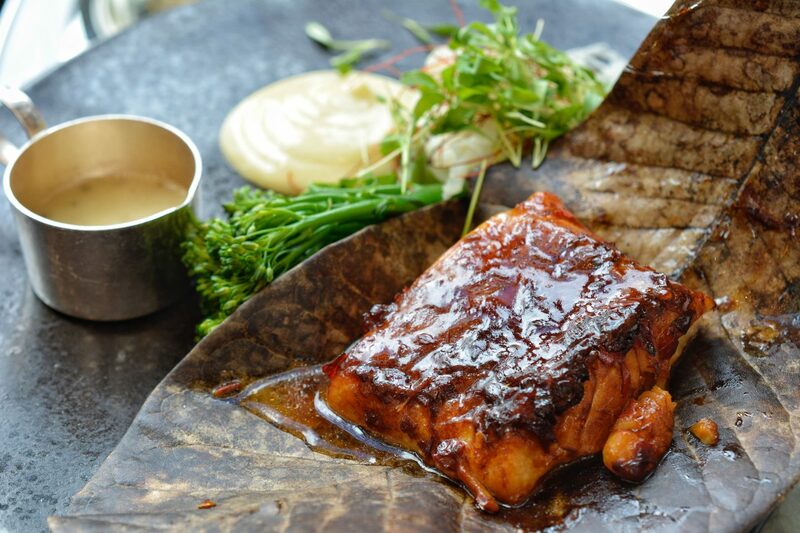 For main I really enjoyed the blackened cod with charred sprouting broccoli, wasabi mayo and truffle wafu dressing. Every mouthful was a delight in terms of flavour and the cod’s succulent texture. 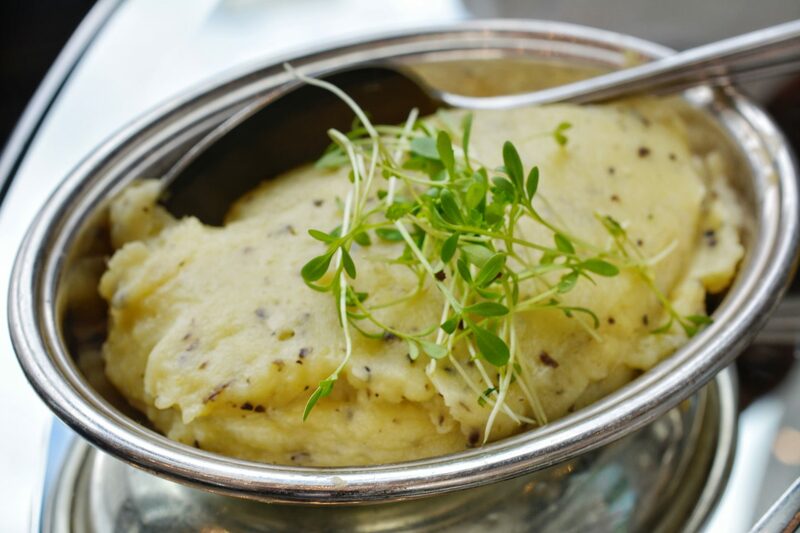 I also had truffled mashed potato as my side which I loved too. 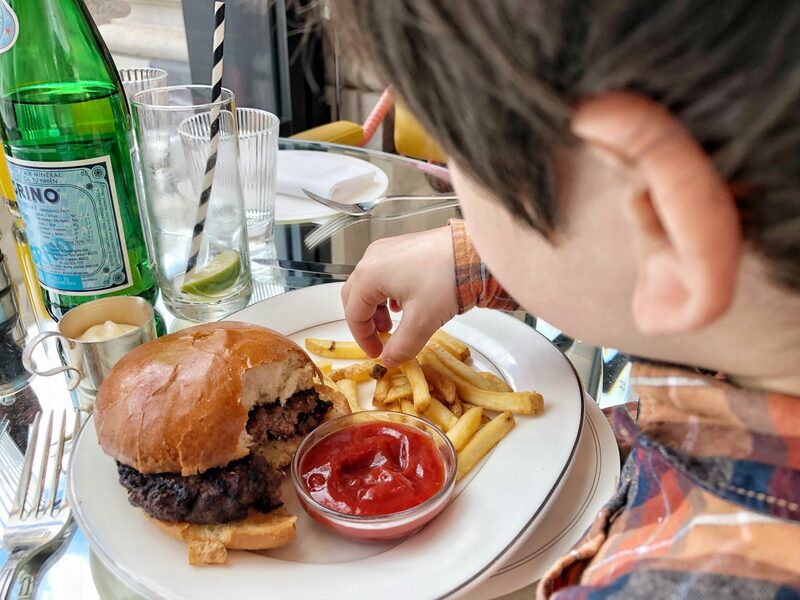 Little Man ordered his burger simple. He’s not keen on any embellishments but he’s always keen on fries. For dessert came the showstopper in Little Man’s eyes. 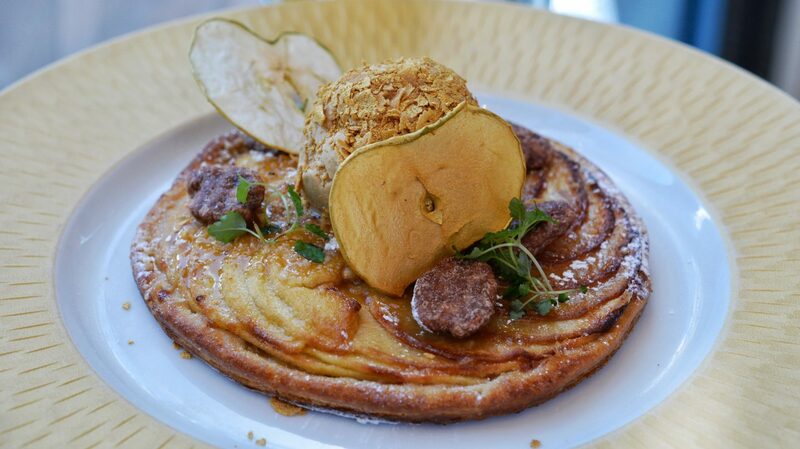 The Mini Pegasus Pie with golden apple was the best thing my five year old had seen on a plate. For little ones who like shiny things, seeing a scoop of ice cream covered in gold flakes is unbeatable. But this dessert didn’t only look great it tasted fantastic. I had a try and then secretly waited for Little Man to stop half way. He lasted a lot longer than anticipated, it was too good to give up so easily on, and in the end I helped him polish off his dessert thinking to myself next time I will definitely order one for myself. 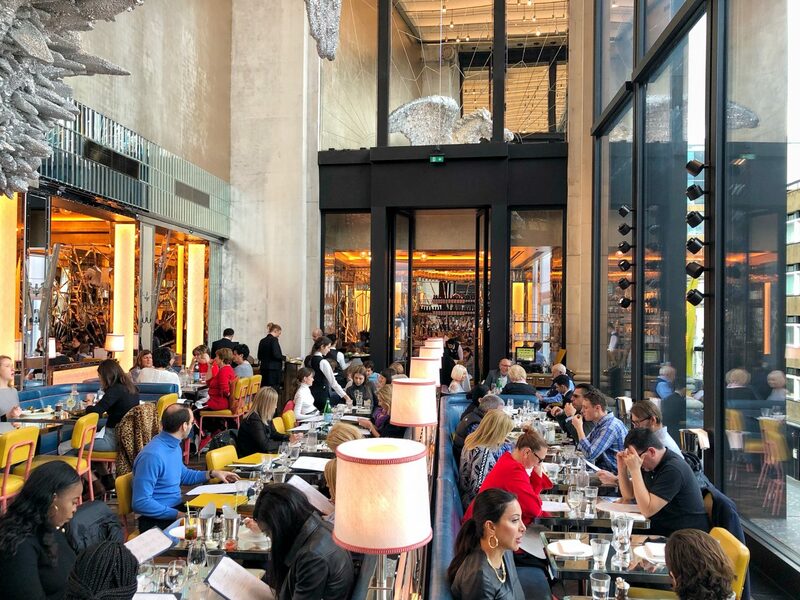 I had initially thought Brasserie of Light was one of Selfridges’ pop-ups but it is here to stay and is part of the Caprice Holidings family, which you might know from The Ivy Collection, Daphne’s and Harry’s Dolce Vita in Knightsbridge. There’s also going to be a Caprice deli opening on Sloane Street some time soon, which I am really looking forward to. So from the legendary restaurant group to the mythical legend that hangs above Brasserie of Light, this is a place I recommend visiting. Disclaimer: We were guests at Brasserie of Light and our meal was complimentary.